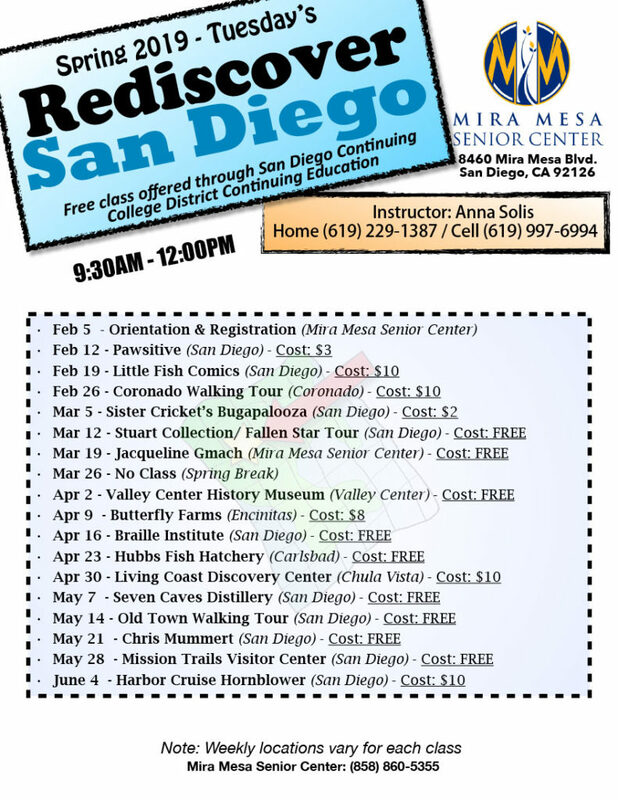 Spring 2019 on Tuesdays – come rediscover San Diego! Free class offered through San Diego Continuing Education. See flyer below for the exciting 2019 schedule!